Over the next week, I will share a few guestblogs from AgEx Junior Fellows. These are young change leaders who worked with our venture from May-August, 2014 supporting the Internal Attachment Program. 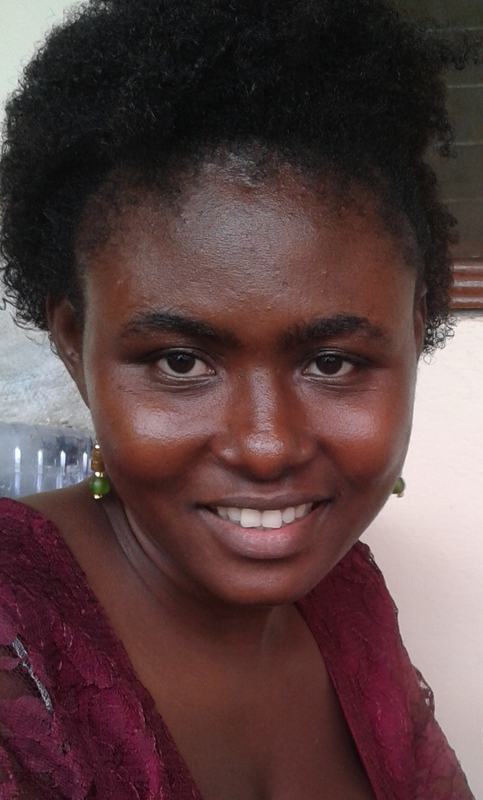 In today’s post, Millicent Maaleeku, from the Upper West Region of Ghana, shares what she learned about the harmful effects of agrochemicals that are not handled with proper care and how we need more extension and awareness around this important issue. Millicent joined AgEx as an AfriLEAD junior fellow, part of this exciting pilot program supporting leadership of Ghanaian youth! Thank you Millicent for sharing your thoughts! To the farmer. Farmers are not well abreast with the negative effects associated with agrochemical usage. Most farmers in rural communities go to any chemical shop, describe what she or he wants to use the chemical for, then just starts to use it, without reading the instructions well or at all. Some even test chemicals in their mouth, most of them do not wear protective clothing when using chemicals. Now, farmers are using chemicals on most crops they produce. They want their vegetables to be fresh, farms to look nice, crops to have high yields, not knowing people can be harmed from these chemicals. Most farmers don’t know what duration a crop is supposed to be left after chemicals application before consumption. They apply chemicals on crops or food stuffs for a short period before harvesting. To the consumer. There is a change that people may be consuming higher rates of poisons with serious long term effects from farm produce without knowing it. Unknowingly, you and I take in chemicals from agro-chemical application, especially from vegetable consumption. Consequences. Now there is high rate of cancer (leukemia, lymphoma, brain, kidney, breast, prostrate, pancreas, liver, lung, and skin cancers) which have links to chemical exposure. Birth defects, fetal death neurodevelopment disorder, diabetes and so many others, are examples. These are diseases that are claiming more lives, yet we are not aware. The World Health Organization and UN Environmental programmer estimate that, each year, 3 million workers in the agriculture sector in the developing world, experience severe poisoning from pesticides. Extension agents. Extension agents do not go to rural communities to interact and educate rural farmers on health hazards in relation to their work. Rural famers’ access to extension agents can also be limited. Young agriculturalists need to inculcate the habit of working with rural farmers as extension agents, rather than wanting to pursue employment in an air-conditioned office. In light of this, first years students of Kwadaso Agricultural College in Kumasi identified and educated farmers on usage of agrochemicals after their community placements in their first year of study. These students are trying to address this lack of awareness regarding the health hazards of agro-chemicals. Youth need to work in rural communities and strive to contribute to addressing this knowledge gap in Ghana. Thanks Millicent for sharing! Also see guestposts from AgEx JFs Mark Eskandar and Sarah Saroop! Thank you Millicent for this very important post! I saw this as being a serious problem when I was working with farmer groups in the Upper West near Wa two years ago. Please keep bringing up conversations like these with all of the actors you mentioned.